We are offering a service to setup 2 x Azure VMs using with the latest Microsoft patched image from the Azure gallery. Choose any OS version (2012R2, 2016 or 2019). We can create a new domain/forest or add the domain controllers to your existing domain/forest. Our service offering is all done remotely. We are based in the UK. After initial engagement we gather your requirements and work with you on the best approach to get started and put together a statement of works (SOW) and can usually start the same week. Cloud Infrastructure Services Ltd are experts on Azure, AWS and GCP. We help customers migrate and transform their infrastructure into the Cloud. We already have a number of solutions in the Azure marketplace available. We know the best practice when it comes to implementing IaaS VMs into the cloud. We can advise on security, devops, monitoring, high availability, DR, management, migration, hybrid and much more. We have over 20 years’ experience working on Active Directory projects from migrations, upgrades, AD health checks to large scale implementations & design, management and support and Microsoft have recognised this and awarded us with Microsoft Silver Partner status. 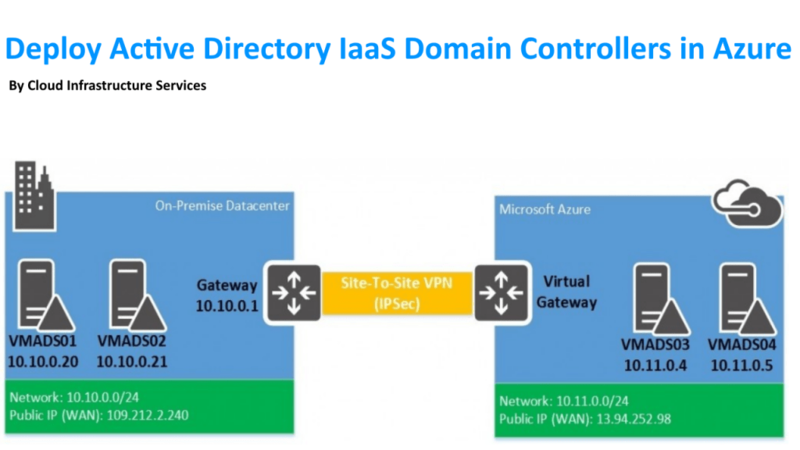 We have worked on many projects building Active Directory in Azure, Azure AD, Hybrid Active Directory, Syncing AD to Office 365, AD Connect and ADFS.